For Dean Lucas, owner/operator of Lucas Civil Group, excavation and machinery are truly in his veins. Growing up around his father, uncles and cousins as a child, he has lived and breathed the industry since his earliest memories. EEM recently visited Dean onsite at Marsden Park, NSW and he was happy to share his experiences and the history of Lucas Civil Group. “I’ve been in the civil industry since the day I left school 21 years ago. I started as a labourer and then excavator operator. After a few years I eventually became the foreman on subdivisions for 10 years. Being able to spend many years learning my craft as an operator then eventually foreman gave me a wide range of experience and skills to end up where I am today. LCG’S main focus is storm water and after having a good chat with Dean, it’s pretty clear their other focus is continuing their great reputation for delivering any job safely, on program and with the best quality the industry has to offer. Services range from shallow 375mm pipe to large deep (6m deep) storm water. Having the right equipment is always an extremely important factor of any project, and I was keen to find out what influenced Dean’s decision to run with Volvo given there is a huge choice in the marketplace today. 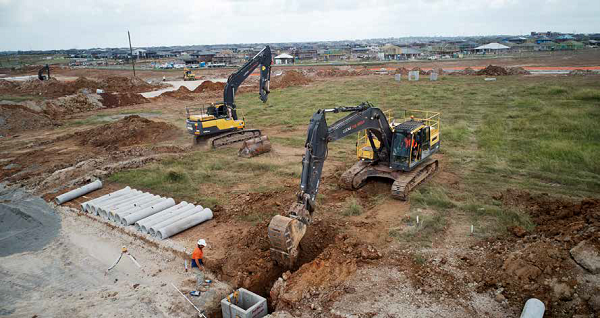 Dean said, “From the beginning I have owned Volvo excavators and they have never let me down. A scheduled maintenance program and great reliability has allowed me to get any job done. 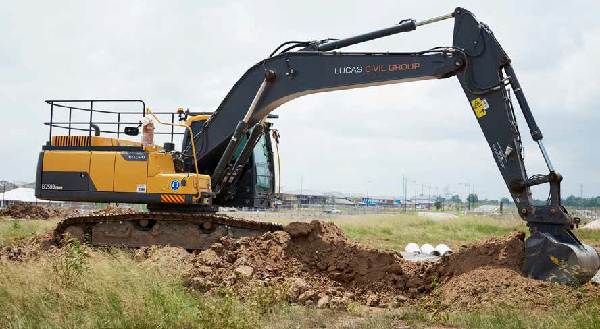 “Volvo excavators are very comfortable machines to operate and easy to service. I think a major consideration these days is fuel efficiency without losing power and Volvo seems to be leading the charge in this area. At the moment Dean has two large crews at Marsden Park where they are about 70 per cent completed and the job has roughly 7000m of pipes ranging from 375mm to 1200mm. Dean is yet another great bloke in the earthmoving equipment industry. It was a pleasure to call in and say g’day and hear about what the Lucas Civil Group has been up to. 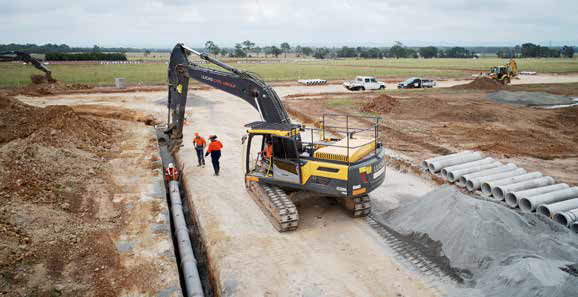 It seems Volvo and CJD Equipment’s hard work in providing excellent machines and outstanding service and maintenance is paying dividends with their customer base across Australia.